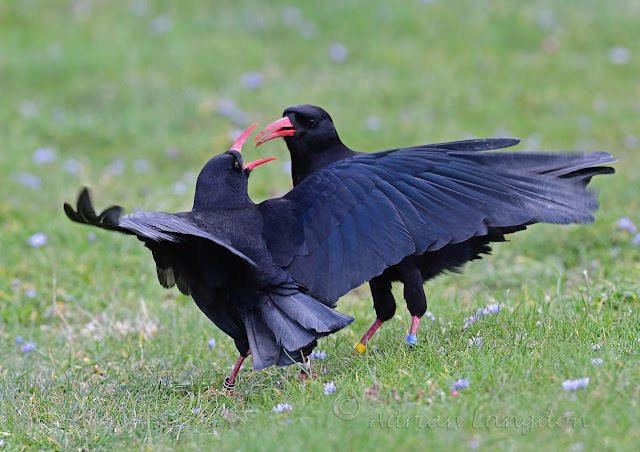 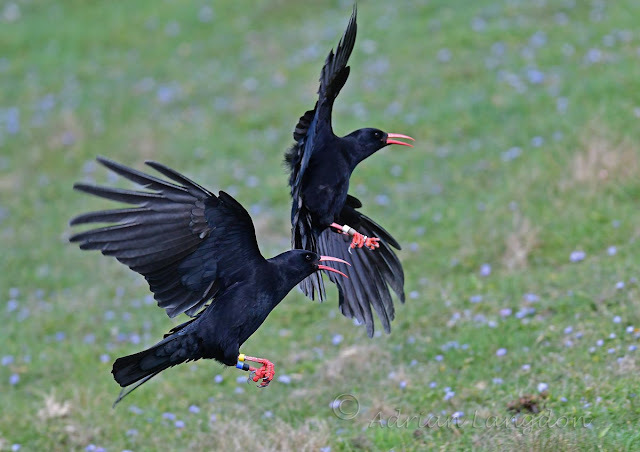 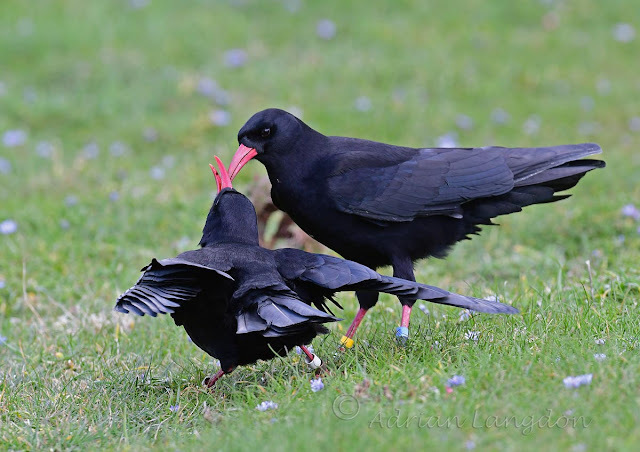 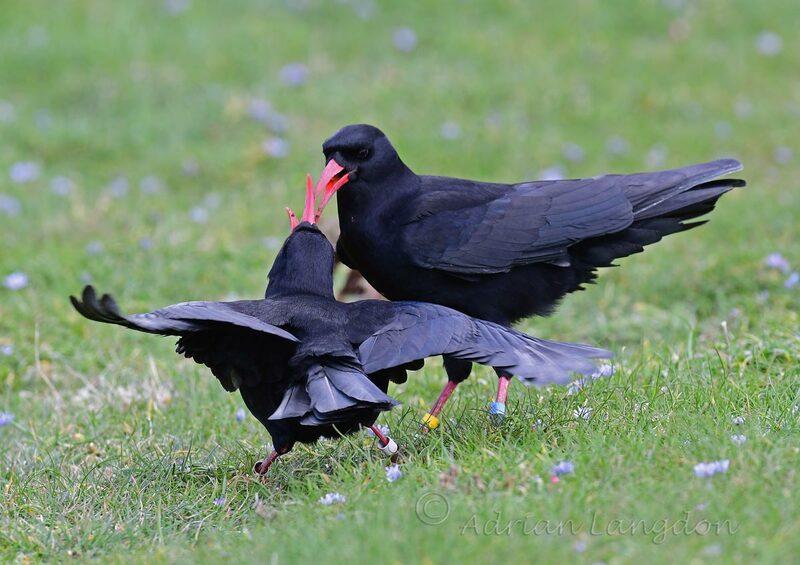 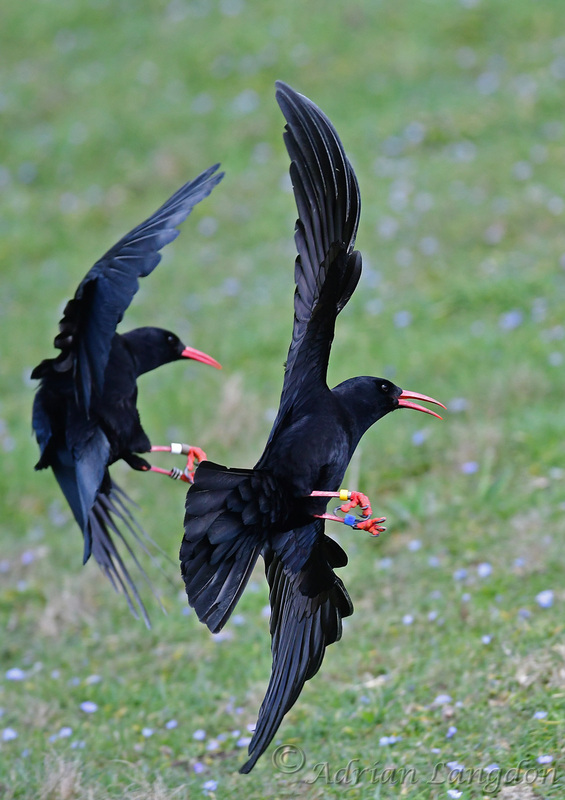 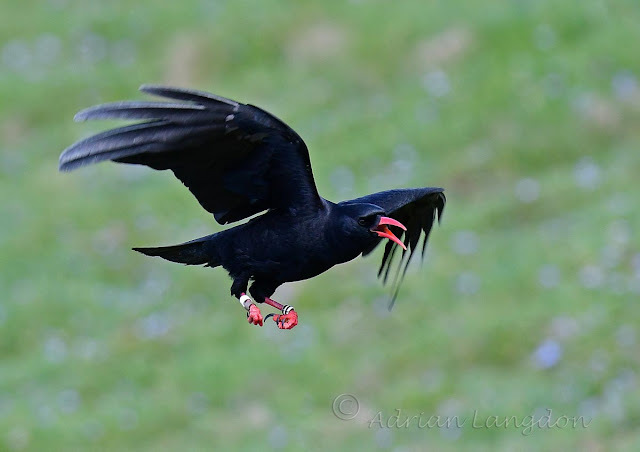 Cornish Choughs in West Cornwall. 30th April 2018. 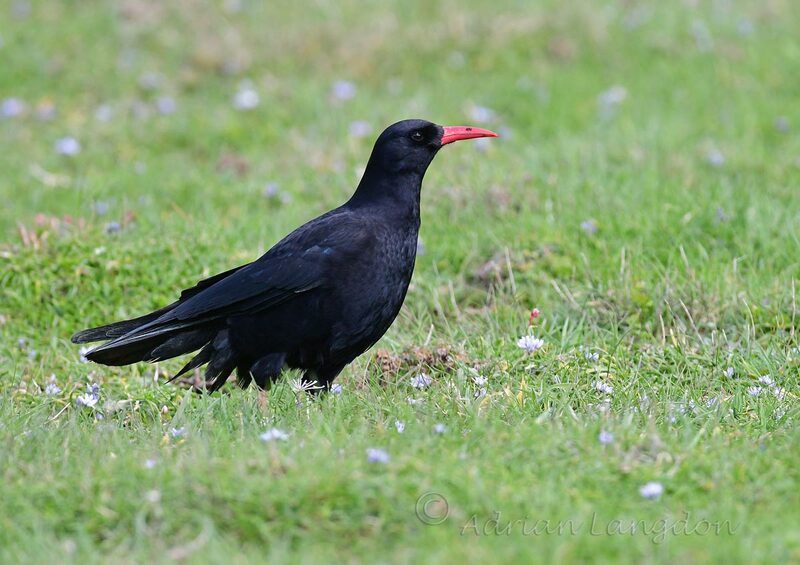 Had at least 6 and probably more Cornish Choughs today in West Cornwall. 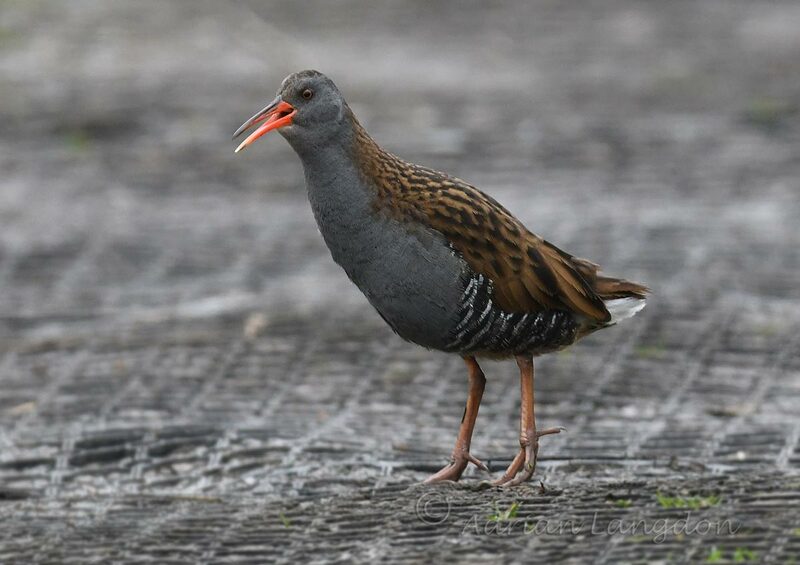 I spoke to the RSPB guy keeping an eye on them and he saw 12 yesterday! I settled in down amongst the rocks after first checking with the guy that I was nowhere near any nest site. 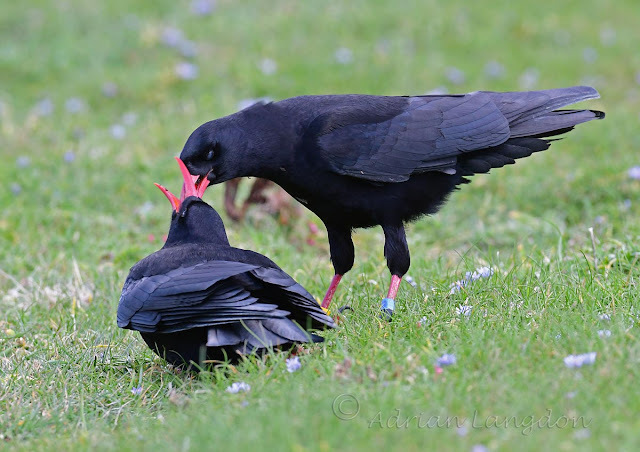 Amazingly they flew in and started to feed very close to me and then the adult male (with the yellow and blue leg rings) landed and proceeded to feed the adult female just a few feet away. So exciting to see our favourite Cornish birds looking so good! 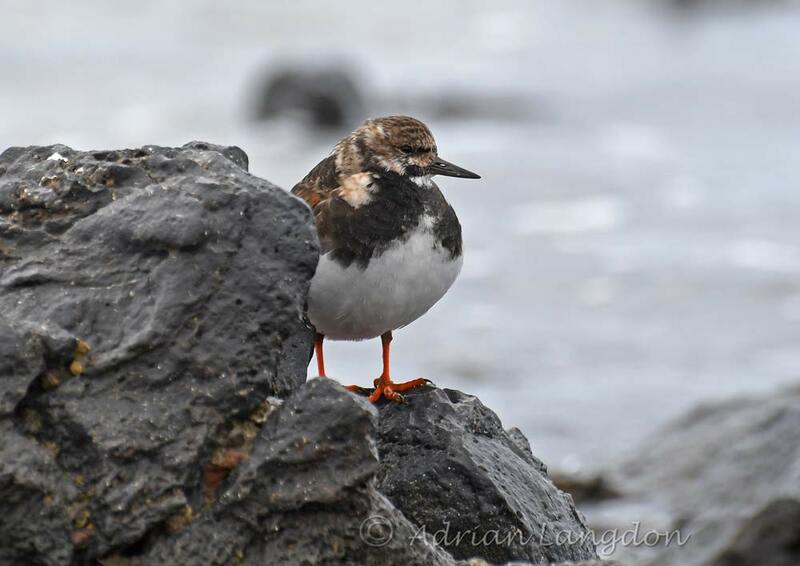 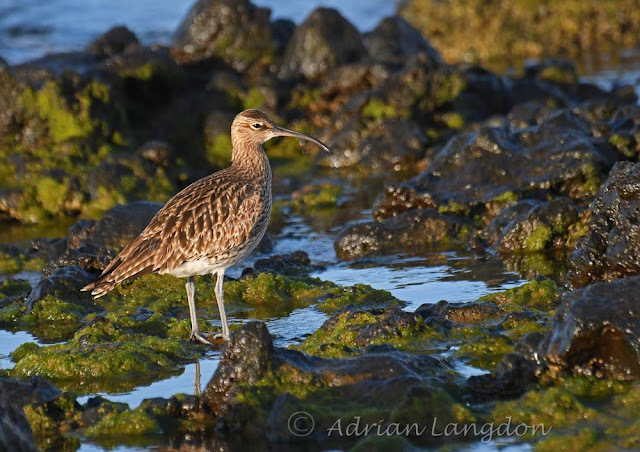 There's still a few birds fighting their way North from Africa towards Europe and taking a welcome breather on the rocky shores of Lanzarote in the Canaries. 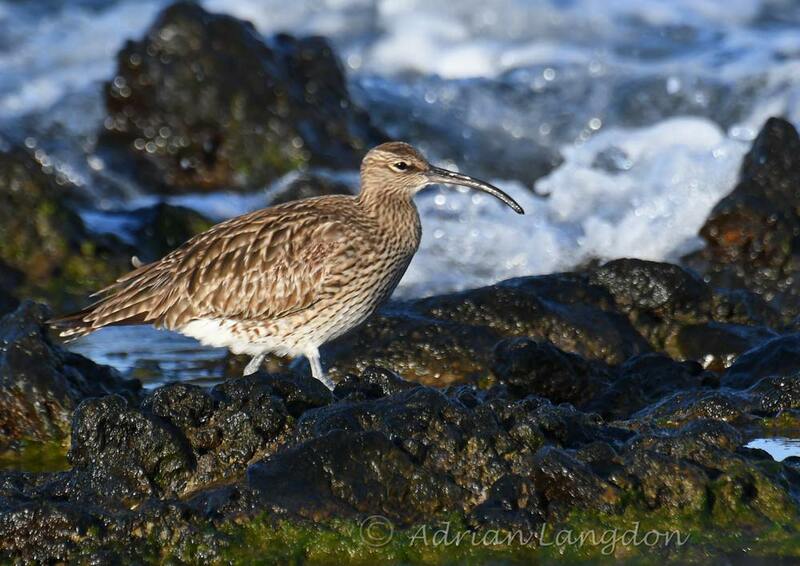 Today I've had a fantastic Greenshank, a Turnstone and several Whimbrel. I reckon in a few days I'll catch up with them when we're back in Cornwall..... who knows that Greenshank may be going via the Camel estuary! 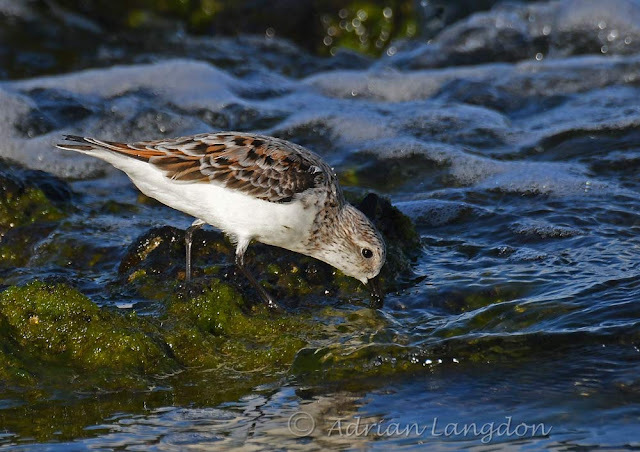 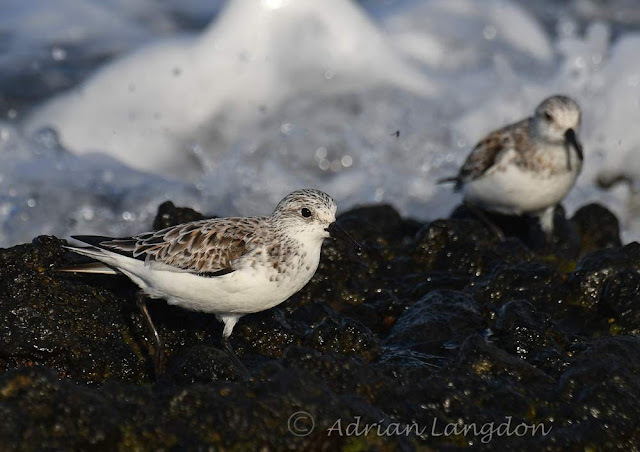 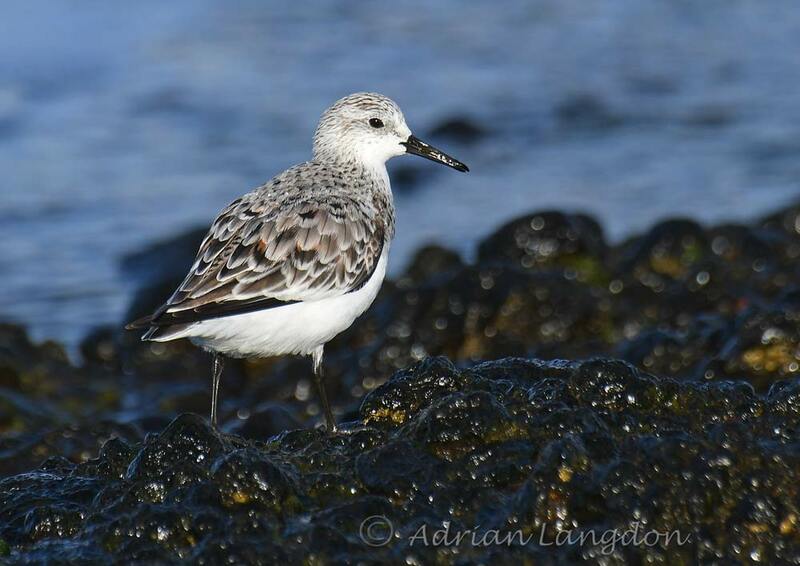 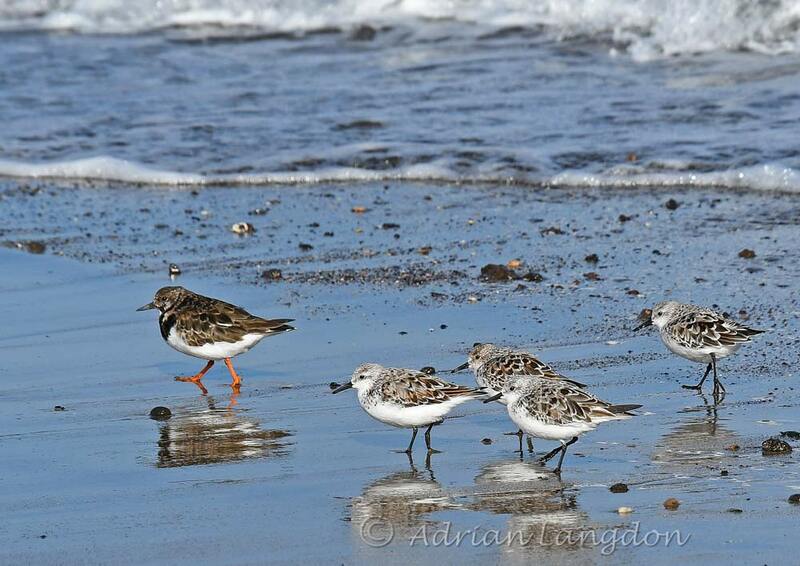 A few shots of Sanderling as they pause to feed in the Canary Isles on their voyage North to their breeding grounds. 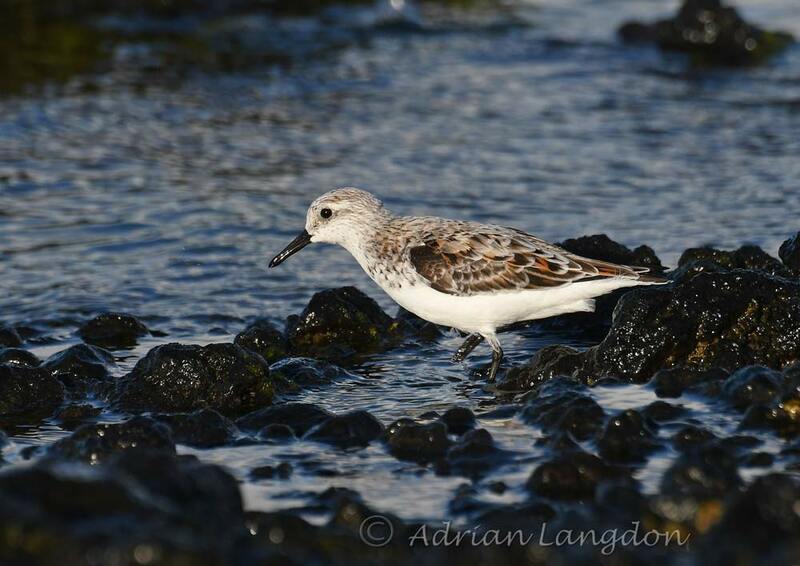 Sanderling following a single Turnstone. Whimbrel passing through on migration April 21st 2018. 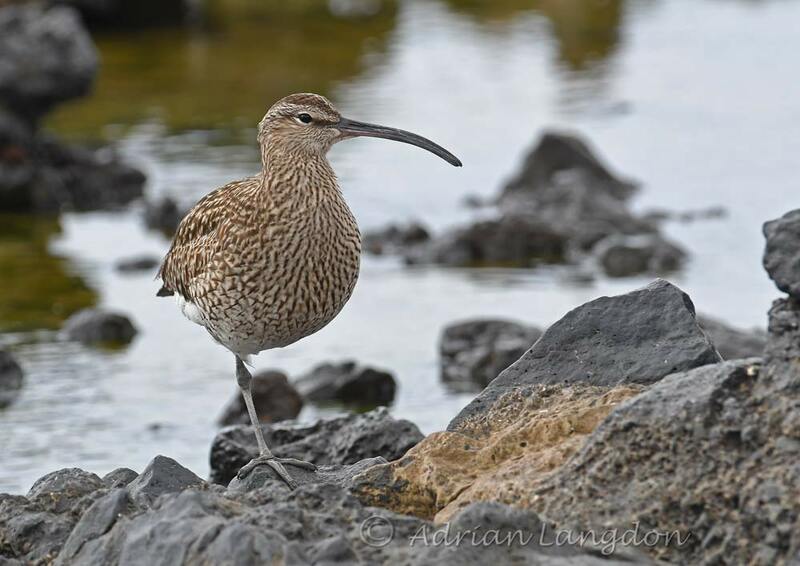 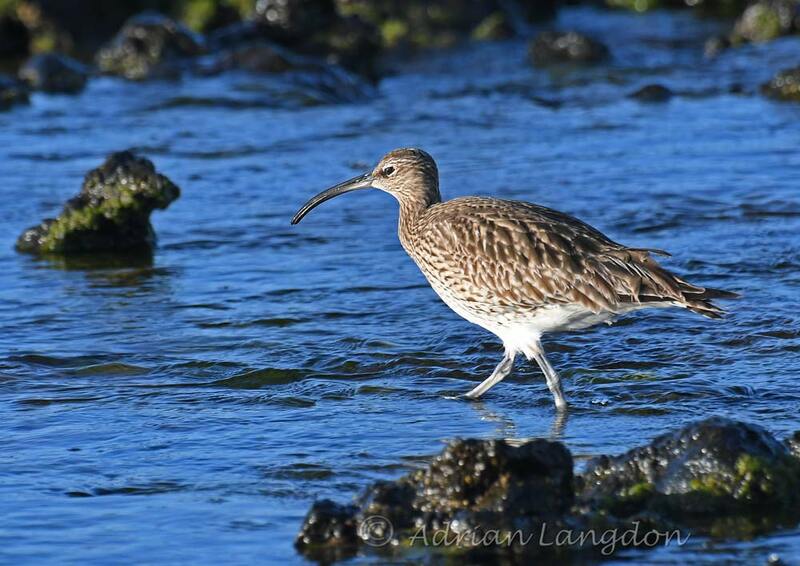 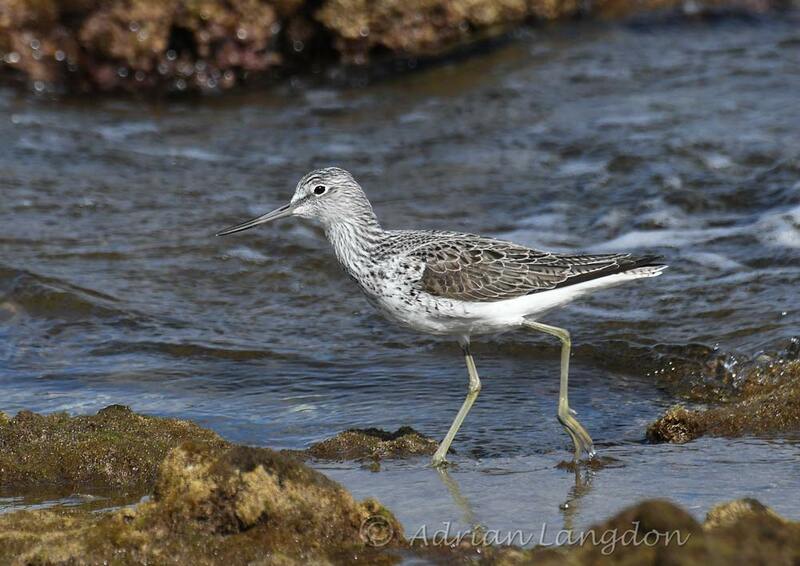 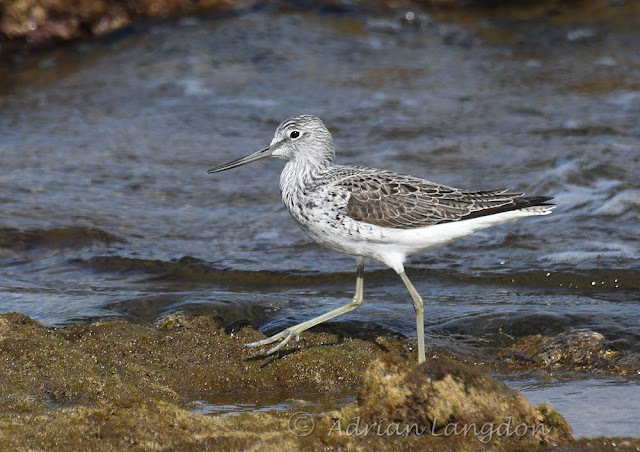 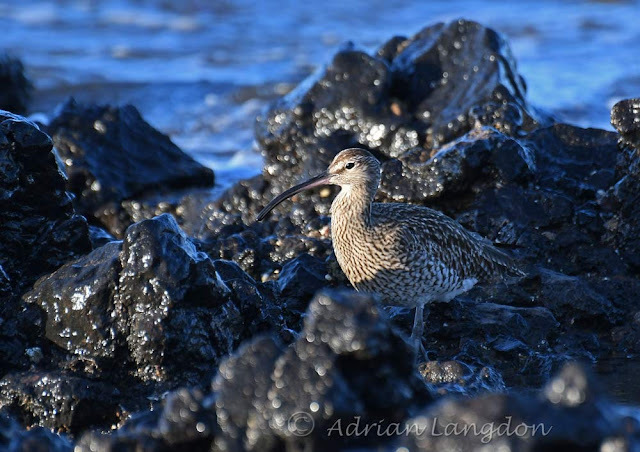 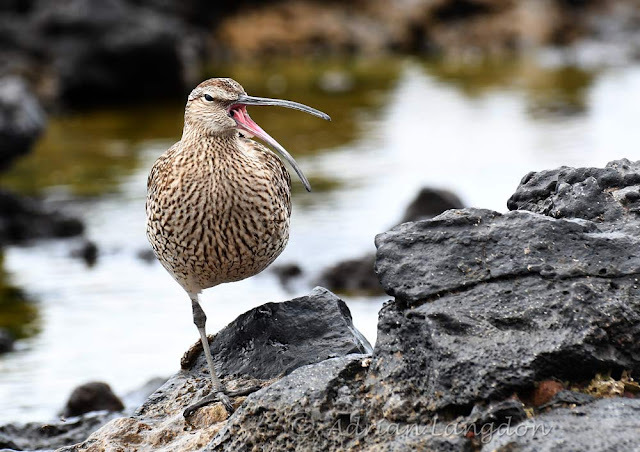 A few shots of Whimbrel as they pass along the shoreline of the Canarian island of Lanzarote. 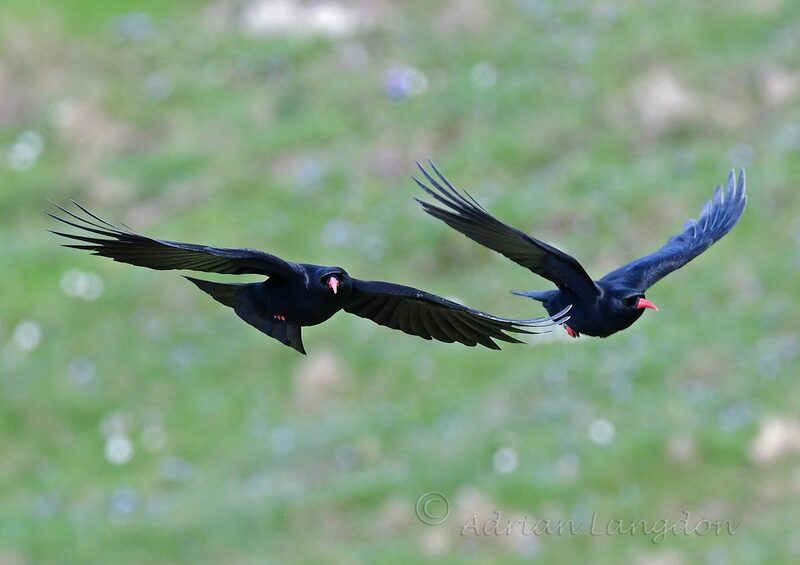 I'm on my holidays and they are travelling as well but in the opposite direction, they're heading north to breed having spent the winter in the tropics. Some of them looked so tired and exhausted that all they wanted to do was close their eyes! 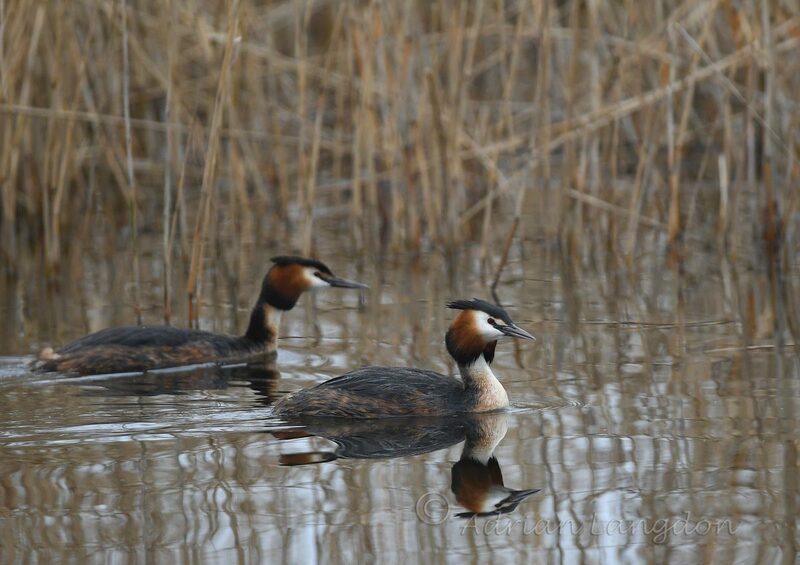 I had a trip out yesterday to the Somerset Levels for a bit of birding, 4 of us left Cornwall at "stupid o'clock!" 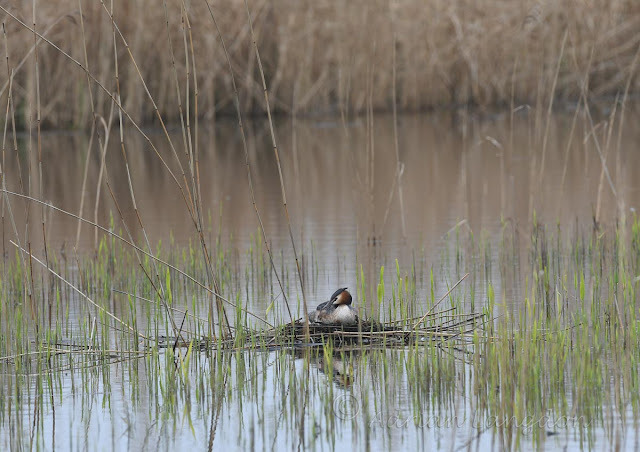 and had a great day at Ham Wall and Shapwick Heath. 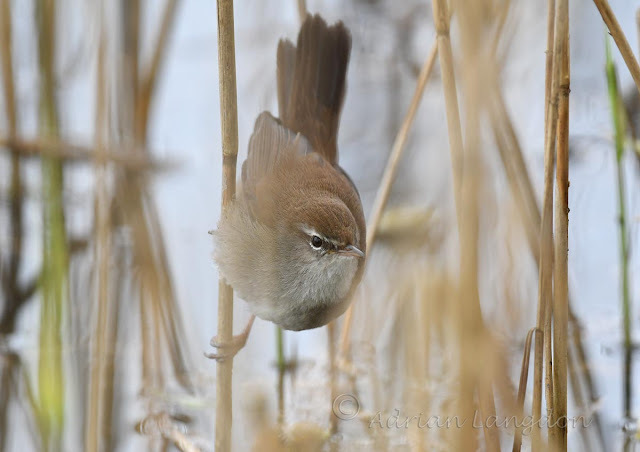 The weather was very dull but dry and a reasonable temperature. Birding was fairly quiet but the highlight was a water rail calling at the entrance to the hide and a cracking male Marsh Harrier dropping down into the reed bed near the 70 acre marsh hide. 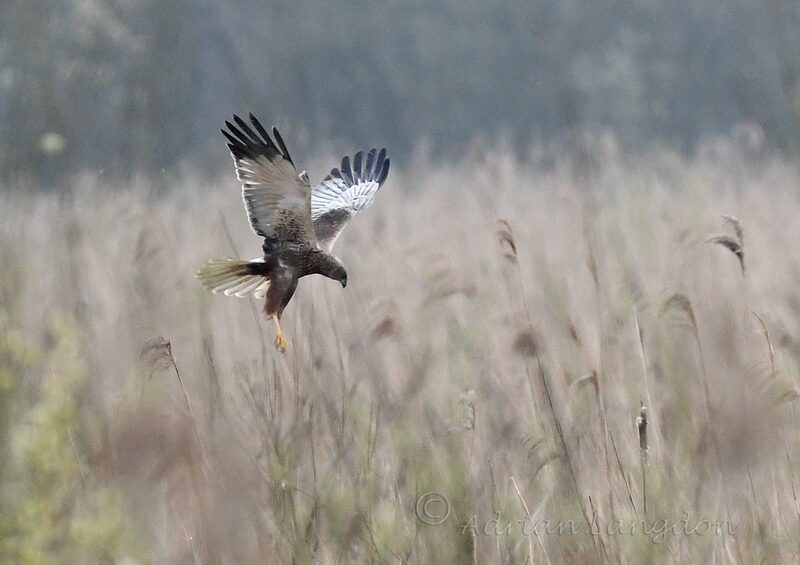 Sadly a bit distant but then it's not everyday you see this sort of thing!